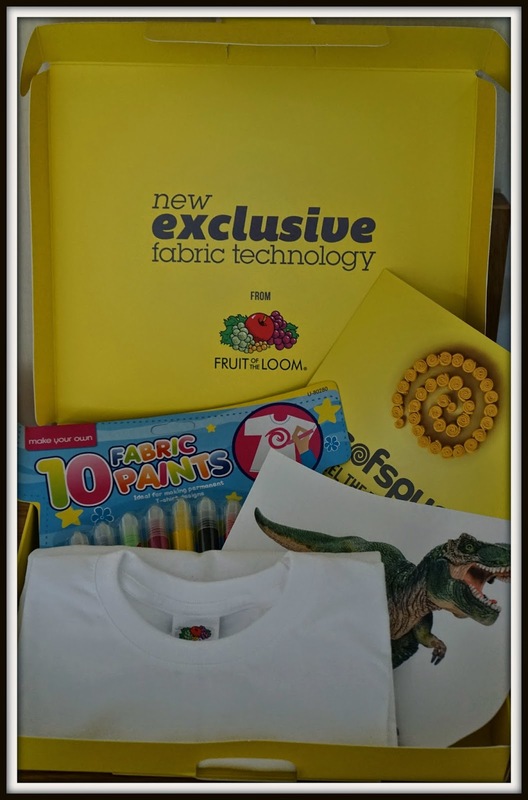 We were very fortunate this week to receive a package from www.buytshirtsonline.co.uk which contained a t-shirt design kit for us to try out. I thought that Buytshirtsonline just sold wholesale t-shirts to workplaces so I was pleasantly surprised when I discovered they offered kits like this! They offer all kinds of transfers including Superheroes and Frozen but I chose dinosaurs because Elliot is really really into his dinos at the moment! 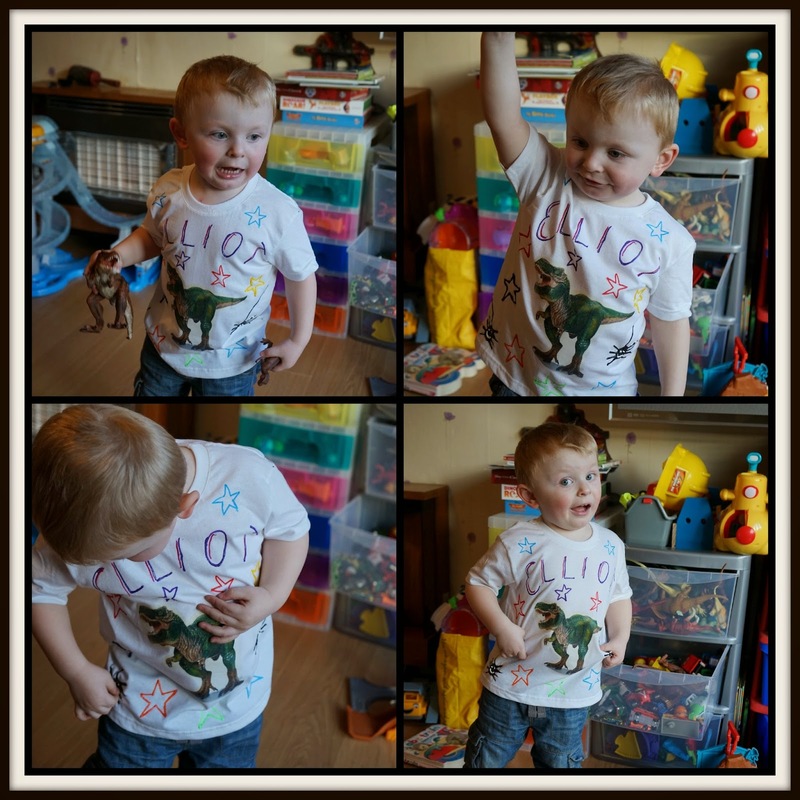 The transfer was really good quality and Elliot loved the fact it was a fierce t-rex! I cut out the transfer leaving a 5mm edge and placed it face down onto the tshirt. The instructions said to iron onto it for 60-90 seconds but it took a little longer than this, around 3-4 minutes. After leaving it to cool, I pulled off the back paper and the transfer was complete - it looked really good! I left the t-shirt hanging up to dry overnight and the next morning it was all dry. The paint was quite puffy which gave it a really cool 3d effect. 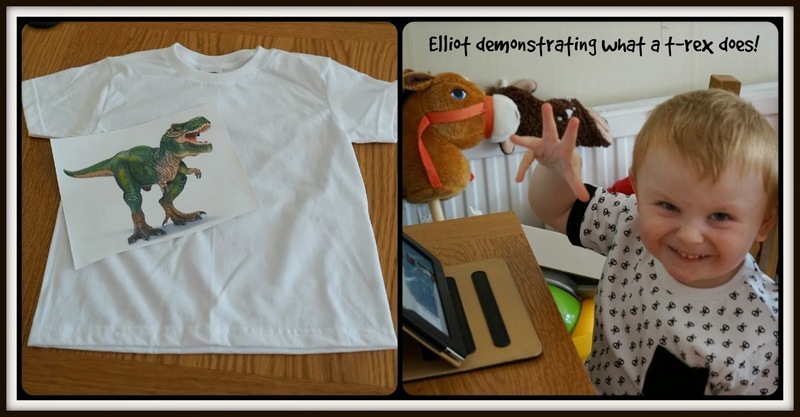 Elliot loved his t-shirt and couldn't wait to try it on! These kits would be perfect for parties or just something to keep your kids quiet for a few hours on a rainy day!